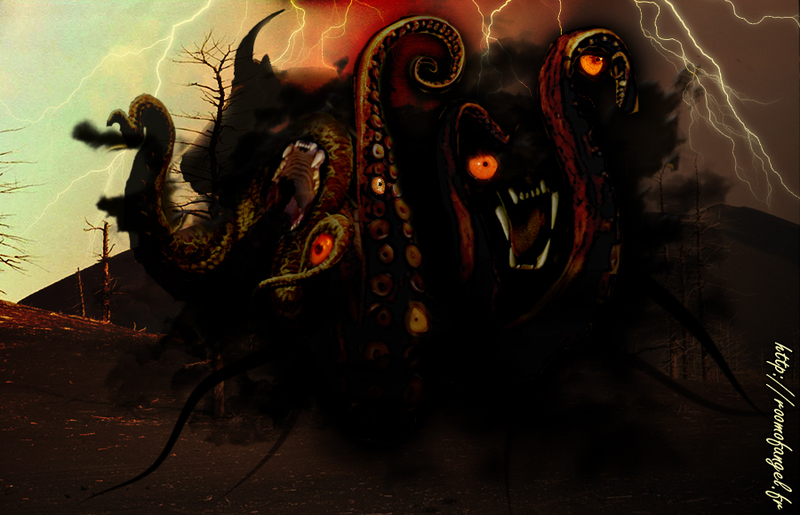 Why, for the love of all that's holy, would anyone with a lick of sense mess around with the eldritch and mind-shattering powers of the Elder Gods? Maybe because the whole shambling congeries of cosmic despair and terror is no less a fiction than the other, more popular religions of this world. 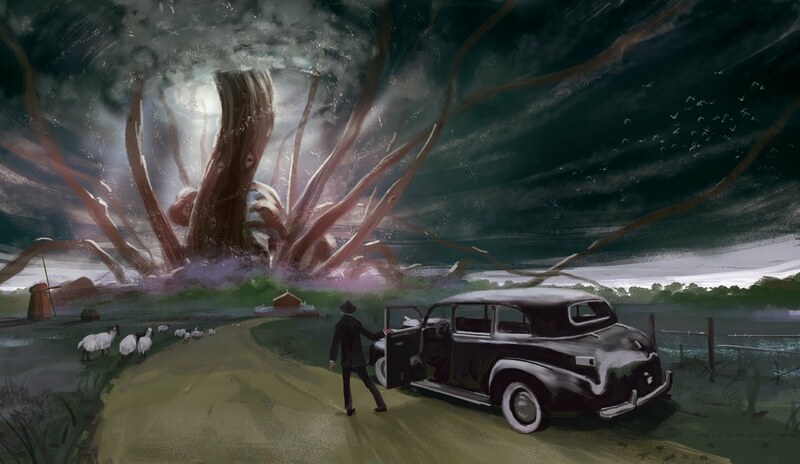 But it, at least, was presented as fiction, originally – although the tales' adherents seem to grow more cultish with each decade that passes since author Howard Phillips Lovecraft shuffled off this more dull coil. But, yeah, we're talking about Cthulhu and Yog-Sothoth and Shub-Niggurath and that whole crowd. And we're talking about how local game designer and improv star Marc Majcher's wrangled a group of improvisers to visit the darkly mysterious realms of Lovecraft's imagination each Saturday through the end of October at the Hideout. The Black Vault, this show is called. Where they're taking tales of extraordinary madness and obsession gone viral, and they're creating new drama out of thin, shimmering air, and – this is the thing about improvisation, of course – they're making it up as they go along. That doesn't sound very comedic, though, does it? Like, you know, comedy improv? "Improvisation naturally lends itself to comedy," says Majcher. "Which is great, but it takes more care and effort to make drama work – and to genuinely scare or creep out an audience with an improvised story is even rarer." And so, ah, doomed to fail? "No," says Majcher. He's very certain of this. "Lovecraft improv is challenging," he says, "and I knew that we might be setting out on a terrible idea that could fail wildly. But our first month of shows has proven otherwise – as far as I can tell from audience reactions and whatnot. The Black Vault was a risk, and different from almost anything else I've seen improvised on stage here, and it's paid off beautifully." And how did Majcher first get involved with the strange residents of Arkham and Innsmouth, the more secretive professors skulking through those whisper-haunted hallways of Miskatonic University? "I've been a fan of Lovecraft's stories since I was a kid," says Majcher. 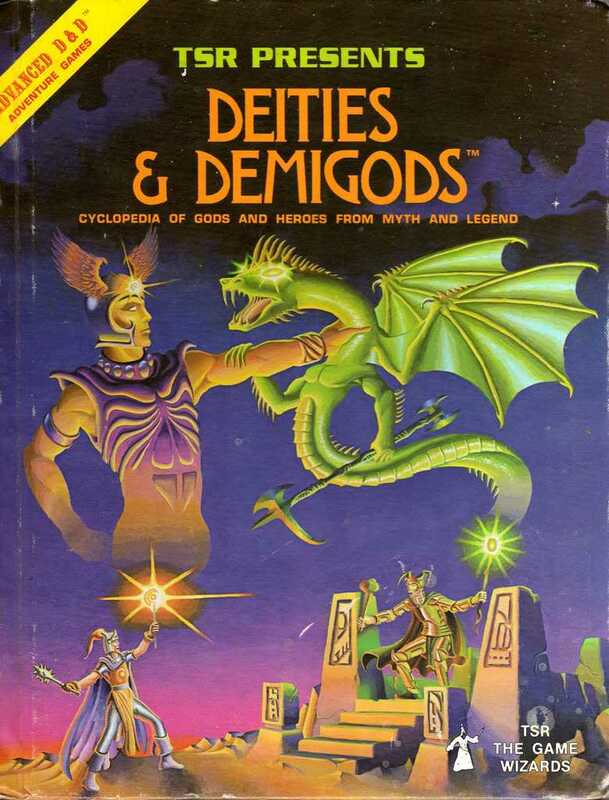 "Ever since finding the Cthulhu Mythos described in an old edition of Deities and Demigods, then tracking down and reading my first story, "The Shadow Out Of Time," which included latitude and longitude for the Yithian city of Pnakotus in the deserts of Australia. The way he weaved together facts and his own horrific visions was intriguing the way a conspiracy theory is intriguing." And is there – we have to ask, or the question will be forever shambling on our mental threshold – is there any form of, ah, ichor involved in these weekly productions? Majcher laughs. "We'd actually briefly discussed incorporating blood packets or other gruesome effects into the show," he says. 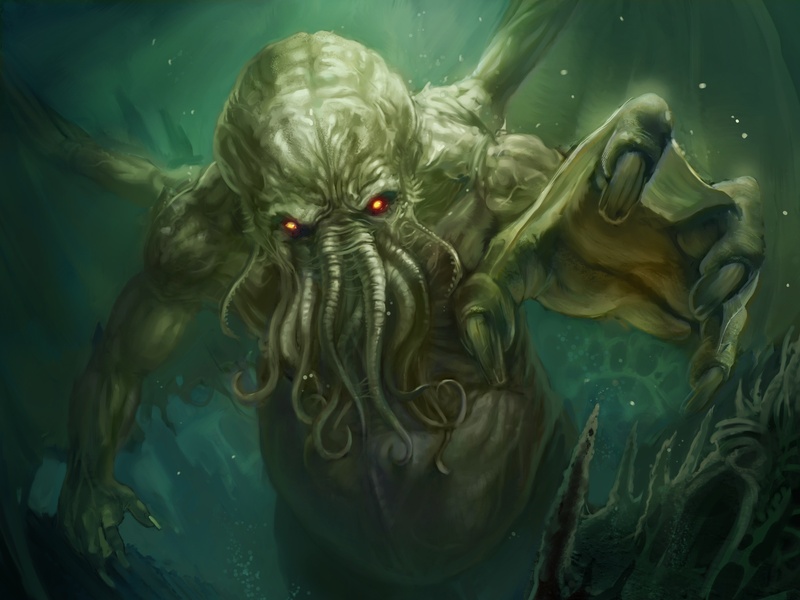 "But Lovecraft is less an explosion of gore than one small rivulet of blood dripping from a nostril – or the corner of an eye when it's seen too much ... And, you know, dry-cleaning our awesome costumes? Bleah."